RB: RB is a leading manufacturer of consumer goods. Its many brands include Lysol, Dettol, Vanish, Air Wick, French’s Mustard, Strepsils, Veet, , Calgon, Clearasil, Cillit Bang, Durex, Mycil and Moov. It has operations in around 60 countries and its products are sold in almost 200 countries. For more details, visit www.RB.com. Ganga Action Parivar: an interfaith network bringing together the world’s preeminent researchers, environmentalists, engineers, religious and business leaders, as well as members of the general public working towards creating thoughtful solutions to the numerous problems plaguing the Ganga and its tributaries. Ganga Action Parivar has been founded by Pujya Swami Chidanand Saraswati, one of India’s most prominent spiritual voices. 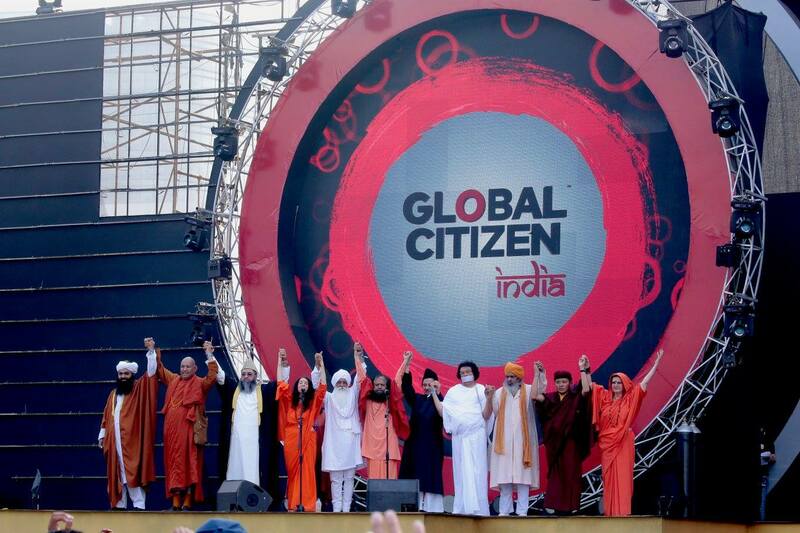 The Ganga Action Parivar is spearheading the Global Interfaith WASH Alliance – India. Elijah Interfaith Institute: an international organization based in Jerusalem dedicated to fostering peace between the world’s diverse faith communities through interfaith dialogue, education, research and dissemination. The Elijah Board of World Religious Leaders brings together some of the world’s most prominent religious figures from Judaism, Islam, Christianity, Buddhism and the Religions of India. The leaders they are involving (including the Dalai Lama, the Orthodox Ecumenical Patriarch Bartholomew and the Catholic Cardinal Jorge Maria Mejia, among others) represent several hundred million people or more. The Ecumenical One World Initiative:reaches into the churches and the German society for encouraging individuals to explore more just and responsible ways of living: ways of living that are based on dialogue, solidarity, simplicity and respect for nature. The EOWI is part of the One World with its wonderful diversity of flora and fauna, and of a humankind with all peoples, cultures, and religions. These two aspects are combined in the original Greek word oikoumene. The EOWI coordinates all activities related to the Earth Charter in Germany. Thames21 is dedicated to preserving, sustaining and protecting the River Thames and London’s other waterways by working with local communities. In the last year, Thames21 engaged 9337 volunteers during 366 events, giving approximately 19,552 hours of their time to improving London’s waterways and removing 799 cubic metres of litter and debris. Friendly Water for the World: The Mission of Friendly Water for the World is to expand access to low-cost clean water technologies and information about health and sanitation to people in need of them. We provide opportunities for Quakers and those of other faiths and traditions to partner with individuals and communities working to improve living conditions around the world, and to learn from each other. Forum 21 Institute: is a multidisciplinary research association focusing on the issues facing the world today. Forum 21 works with like-minded organizations and individuals toward developing a new paradigm in which people live and work by a new ethic and framework, using science, technology, and other aspects of human knowledge in a responsible and sustainable way, and at the same time respecting all humanity and its diverse cultures. Forum 21 supports research that addresses water-related issues such as sustainable and affordable water desalination that could help resolve the global crisis of water shortage: www.forum-21.org. The Green Pilgrimages Network of India (GPN): Through religious organisations, NGOs, municipalities and local government bodies, the Green Pilgrimage Network is working with pilgrim sites around the world to draw up plans for creating environmentally sustainable towns, cities and wild areas. The India chapter of the GPN was launched in October 2012 with representatives of the Hindu, Sikh, Muslim and Buddhist cities of Amritsar, Guntur, Howrah, Visakhapatnam, Shirdi, Ujjain, Nanded, Rishikesh, Varanasi, Ladakh and Bodh Gayah. The Divine Shakti Foundation is dedicated to holistically providing for the well being of women, their children, and orphaned/abandoned children. The Trust is committed to identifying the needs and design and implement programs to support women and children (especially orphaned/abandoned children) to be socially and financially self-sustaining. In addition, the Trust helps raise awareness of the problems facing women and children through education and mass communication. The Trust has been our partner in activities for the preservation of Mother Earth especially protecting Holy Ganges River and providing a safe and natural environment for India’s revered cows. Saraplast 3s: 3s is one of the top 50 Social Impact Enterprises in India today. It is a Social Enterprise established, over a decade ago, in 1999 to provide adequate sanitation to those that have been deprived of this basic amenity required to live a life of dignity. South Asia Pure Water Initiative: works to make a difference in the lives of people living in South Asia. Goals: provide clean point-of-use drinking water; educate children about better hygiene; sustain community-based employment for project staff. Carnegie Waters: a spin-off of Carnegie Mellon University’s School of Computer Science, CW turns data into knowledge, providing water intelligence by applying cutting-edge technologies and innovative methods to capture new insights into water quality previously unavailable by conventional methods. We have extensive knowledge in designing robust, stable, and economically & computationally scalable systems plus decades of experience in field design & implementation of real-world engineering projects. Alliance of Religions in Conservation (ARC): ARC was founded in 1995 by HRH Prince Philip. It now works with 11 major faiths through the key traditions within each faith. ARC helps and encourages faiths to use their far-reaching influence and resources for the widest possible environmental benefit, specifically in six key areas: Land and Assets, Education, Media, Health, Lifestyle and Advocacy.